… you’ll want to read my Facebook post from today, which you can find here. Unfortunately, Facebook has changed its algorithm, decreasing visibility of posts by a page unless those posts are “promoted” (meaning I pay so that more people can see them). BUT, there is a way for you to continue seeing my posts–so those of you on Facebook will definitely want to check that out. Wanted to let you know that I’m running another Monday giveaway over on Facebook. Today, I have two copies of ANY of my currently-available books up for grabs. International. Drop by to enter at: https://www.facebook.com/JulieJamesfanpage. ARC giveaway– IT HAPPENED ONE WEDDING! Giveaway! Are you feeling the luck of the Irish? 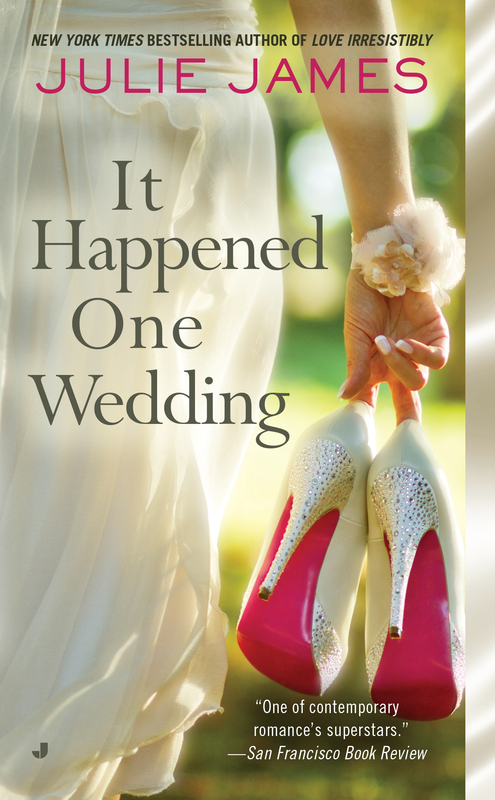 In honor of Special Agent Vaughn Roberts, the (half) Irish hero in my May release, I’m giving away three ARCs of IT HAPPENED ONE WEDDING over at my Facebook page. To enter, follow this link and leave a comment on the giveaway post. Hey all! Just wanted to let you know that I’m holding a giveaway over at my Facebook page that runs until 9pm CST tomorrow, January 15. Three winners can choose a Kindle or Nook ebook copy of any of my currently-available books. Drop on by my page and leave a comment over there to enter. Just a heads up to let you know that I’m running a giveaway for three signed copies of Love Irresistibly over at my Facebook page. (Open internationally.) So drop on by and leave a comment over there to enter! In other news, the high in Chicago today is -9 degrees. Yikes! Sounds like a great day to curl up with a good book. Hope you all are staying warm, wherever you are!